As it is World Teacher’s Day it seems like a good time to say a massive thank you to all the teachers who have made the World’s Largest Lesson a reality. 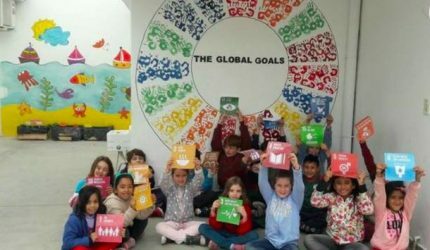 We have calculated approximately 500 million children around the world have learned about the new Global Goals through assemblies, lesson and other classroom activities. It is impossible to measure the positive impact of empowering so many children to be global citizens. It is possible to say that none of this would have happened without teachers. 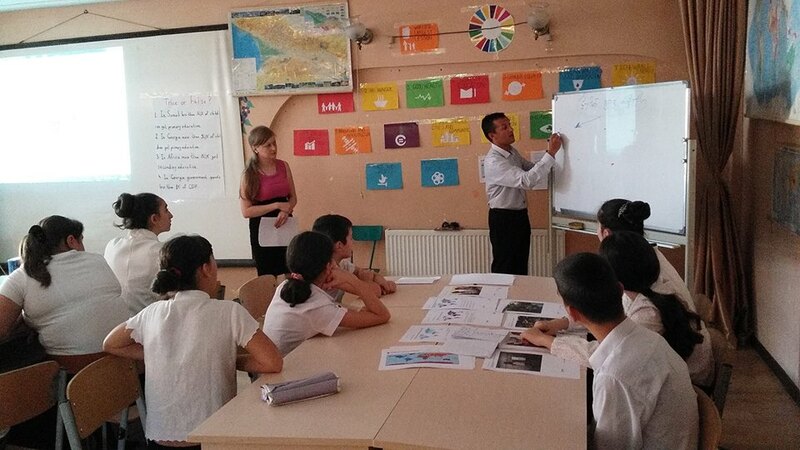 This blog gives a few highlights of the commitment, creativity and sustainable approach that teachers around the world have taken to teaching about the Global Goals. 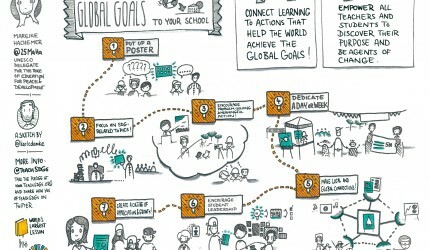 There have been some amazing stories of the level of commitment individual teachers go to, to make sure that all children are learning about the Global Goals. In Zambia many schools use the local language, Bemba, but our materials were not available in that language. One teacher stayed up two days straight to translate all the lesson materials into Bemba, to make sure the children in his community did not miss out on this important lesson. It is hard to explain how many stories we have heard about teachers doing amazingly creative sessions on the goals. In Buenos Aires, Argentina, a teacher decided to run a practical lesson on responsible consumption buy overseeing students collecting rubbish in their local community. They then returned to school and built their very own super heroes out of the rubbish! In New Zealand, Sharee Ineson, developed a week of activities on the Global Goals, culminating in a World Café. At the café children wrote songs and designed super hero characters whose powers are to achieve the different goals. In Manchester, United Kingdom, a teacher focused the lesson on practical action. All the students wrote individual letters to the Prime Minister, David Cameron, asking him to take action on specific goals! 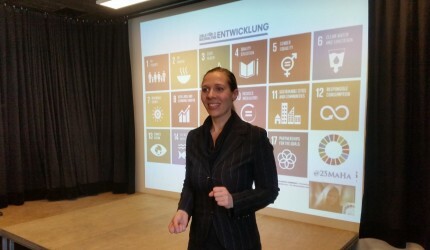 It has also been exciting to see the sustainable approach taken in many countries, to ensure teachers themselves are informed about the Global Goals and to make sure multiple lessons and activities take place. In Haiti, Lesotho and Hungary the Ministries of Education supported teacher-training sessions to make sure the teaching on the goals is informed and will continue in the future. These are just a few of so many stories about the World’s Largest Lesson, more can be found on our Facebook and twitter feeds. While the stories vary in many ways, one thing remains the same, the teacher is the only reason the lesson happened. Happy World Teachers day everyone!